This was my first scan with this pregnancy. I was 14 weeks and 3 days. 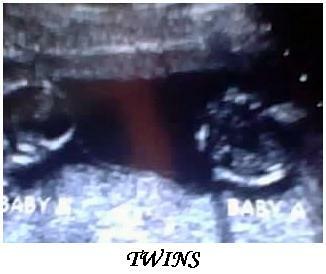 Boy were we surprised to hear that we are having twins!!! We are overly excited---can't wait. I am due Jan 1, 2010.